I've long been looking for a tinted moisturizer with SPF because I think it's great for jetsetting ladies like me. So when I saw this product from ELF, I was really happy. This tinted moisturizer from ELF with SPF 20 in Porcelain is for very fair skin tones with yellow undertones. The lightweight and hydrating formula is breathable and provides anti-aging sun protection with UVA/UVB SPF 20. Achieve even skin tone and naturally radiant skin with this moisturizing tint of color. Apply to clean skin in an upward and downward motion with a makeup sponge or foundation brush. For children under 6 months of age : ask a doctor. Skin Cancer / skin Aging Alert : Spending time in the sun increases your risk of skin cancer and early skin aging. This product has been shown only to help prevent sunburn, not skin cancer or skin aging. This tinted moisturizer comes with aloe, cucumber and vitamins A, C & E. One of the uses of this tinted moisturizer is to help prevent sunburn. Affordable. I bought this product for PHP 249.75 in the Philippines. Travel friendly. This is definitely a wonder product for jetsetting ladies like me. Has SPF. I couldn't emphasize how important SPF is to me, most especially that I live in a country near the equator. I also use this product when sunbathing or swimming. Economical. It's a tinted moisturizer thus it's a moisturizer and a foundation in one. Oh yes, it has SPF too. Easy to apply, blend and squirt from the bottle. Has many shades to choose from. Check it out here. The smell can be quite off for some as it smells like applying a sunscreen. I find the packaging quite messy no matter how I rub it clean. As seen on the photo above. Overall, I love this product. I would definitely recommend this especially for jetsetting ladies out there. 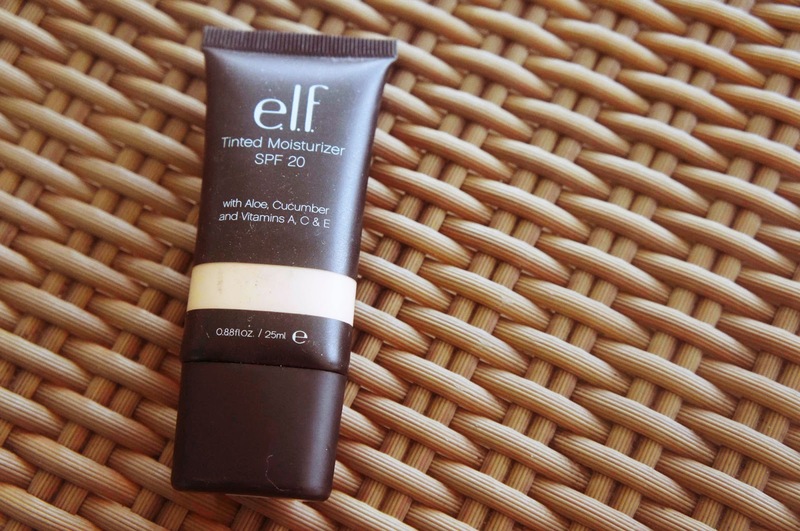 Have you tried using ELF's tinted moisturizer with SPF? Let me know how you find it in the comment section below. Great review. I love elf products but sometimes they can be a hit or miss.